Examination Of The Talmud Torah School, Of New York. New York, January 4th, 1844. It affords me great pleasure to transmit to you the following account of an examination of the pupils of the Talmud Torah School, hoping that you will allow it a place in your valuable periodical. I consider it an event that fully deserves to be recorded, auguring as it does the growing interest and solicitude for our holy religion, in establishing schools where the tenets of our sacred faith are taught in a pure and unadulterated form, free from the doctrines of a hostile creed. The examination took place last Sunday, the 31st ult., in the presence of a crowded audience, upon whose faces were depicted the signs of anxious expectation as to what they were to hear and to see, and who, by the repeated manifestations of applause, showed that they were not disappointed. The examination embraced Hebrew reading and translating, Hebrew grammar, catechism, English grammar, arithmetic, geography, and declamation. Considering the short existence of this institution, (it was opened about a year ago,) and the different capacities of the children visiting it, some of whom never attended school before, it was truly gratifying to see with what confidence and precision they acquitted themselves. It must, indeed, have been a difficult task to classify properly, and to assimilate the heterogeneous elements thus brought together; and it reflects much credit on the gentlemen appointed as teachers, for acting in concert and harmony in enforcing the requisite discipline, without which it is impossible to effect any beneficial results. The English department is entrusted to Mr. Nelson, and the examination therein was highly gratifying. The pupils displayed a good deal of knowledge in the four rules of arithmetic, and not less in the rudiments of English grammar. The answers in mathematics and political geography were very interesting. It was also gratifying to observe the equanimity of temper, a necessary requisite for every teacher, displayed by Mr. Nelson, and the prevailing order and attention of the boys. They looked throughout cheerful, and seemed to be conscious of and to delight in exhibiting their acquired accomplishments. The most important topic was, of course, the examination in Hebrew. The audience was prepared for it by a brief but able address, delivered by the Rev. Mr. Isaacs, who called their particular attention to the astounding progress the pupils had made, and appealed in strong terms to the generosity of those present for the farther support of the institution. Since the opening of the school, the boys forming the first class have been taught to translate nearly the whole book of Genesis; and several chapters, selected at random by the committee, were translated and grammatically explained by them with the greatest precision and correctness. They displayed a good knowledge of the Hebrew grammar, and showed that they were not mechanically, but thoroughly instructed. Their answers were clear and distinct, and not seldom put my linguistical attainments in Hebrew to the blush. This part of the examination afforded a striking proof of the pedagogical tact, energetical exertions, and eminent qualifications as teacher, of Mr. H. Goldsmith, to whom the Hebrew department is entrusted. Mr. G. has adopted the best plan, by which a teacher is enabled to bring his scholars to a true knowledge of the Hebrew. It is not by dry rules, which, without practical application, are soon forgotten; but by causing the pupils to translate practically, and making them, in the course of their progress, acquainted with the theoretical rules and peculiarities of the Hebrew, that a permanent and lasting success can be secured. The reason is obvious; as such a method not only furnishes the pupils with a rich vocabulary, so necessary in learning an ancient or modern language, but also leaves ample scope for, the gradual development of their mental faculties; they are obliged to exert their power of thinking by analyzing a passage or word, and are, naturally, greatly delighted and encouraged, when they have come to the right conclusion. Such a method must be the more effective, as it will soon enable the pupil to proceed by himself, and to venture on pieces that he has not been mechanically taught. It is exactly the system of teaching Hebrew in all the Jewish schools of Germany, and it is by such a system that Mr. G. has achieved such prodigious results in so short a time. Not less interesting than the Hebrew translation was the examination in catechism. I do not risk much if I say, that for the majority of the audience it was an indirect instruction in religion. The pupils have been taught the ecclesiastical calendar of the Israelites, embracing all the festivals and fasts of the year, and it was indeed a pleasure to listen to their answers regarding the origin and observances of these days, and to hear them recount the important events in commemoration of which they are celebrated, or (like the day of atonement) the objects they are designed to achieve for man. I could but wish that Mr. G. would proceed in the same way to make his pupils acquainted with the fundamental doctrines of our holy religion, such as the essence and attributes of the Deity, the revelation, the immortality of the, soul, &c., and let in the same manner follow the moral commandments of the Mosaic law, prescribing the threefold duties of man towards God, his fellow-man, and himself. Under the present auspices, the Talmud Torah School promises to compete with any institution of the kind; and if, by a continued judicious system of tuition, the zeal and emulation of the boys will be kept alive; if the interest of the Jewish community towards its support will be more generally secured; if the patricians, seeing the gratifying results that have been achieved, do not disdain to send their children where they are sure to receive a good Hebrew and English education: it will fully realize the expectations of those by whose exertions and sacrifices it sprung into life. It is melancholy to observe, that the importance of this institution has not yet been fully appreciated. The picture of its present pecuniary resources, as drawn by the Rev. Mr. Isaacs, in his address, was not very pleasing. And, indeed, the comparative lukewarmness and apathy hitherto evinced in this good and truly Israelitish cause is the more astonishing, as the benevolence of the Jews, and the great care bestowed on the education of their children, is proverbial. I would fain persuade myself that, as soon as the importance of this school with regard to our holy religion, and its secondary mission to establish an esprit de corps among the rising generation is recognized, its success will no more be doubtful. Every Israelite must be aware of the paramount importance of making our youth familiar with the precepts and pure doctrines of our religion, and of imbuing their minds and their hearts with adequate sentiments and a knowledge of virtue and morals, at an early period of their lives. The precepts thus imparted to them by word and example are the most lasting, and gradually grow into principles. They are graven deeply and ineffaceably on the tablets of the heart. The man who has been taught the tenets of our holy religion in their purity, who is conscious "what the Lord requireth of him," will make them the polar star of his life, and steer unscathed and uncorrupted through the stormy waves of life, and avoid unmolested the many rocks that hinder his course. Nor will he be tempted by the manifold tricks and practices of party to swerve from the prescribed path and renounce the faith of his fathers. But he who is left to go his own way,—left in obscurity and ignorance on the essential principles of his religion, is incapable of discerning truth from falsehood, genuine faith from superstition, and therefore, liable to become a fanatic, or indifferent to all religious matters. Both these extremes are pernicious in the highest degree. We need not go far to find specimens of the one or the other; for often we meet with persons 'לרע טוב ולטוב רע וגו (who call evil good, and good evil); and although there may be found some one whose mind, notwithstanding the utmost care bestowed on cultivating it properly has, by some cause or other, taken a wrong direction: still, no sensible and true Israelite can mistake the duty that devolves upon us, to provide the rising generation with spiritual weapons to withstand the temptations, and to successfully repulse the repeated attacks made on the adherents of that faith which was pronounced 3500 years ago, on Mount Sinai. To gain a thorough knowledge of our religion, the Hebrew language is indispensable. 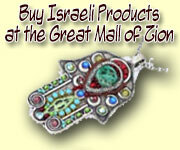 It is (if I am permitted to say so) the palladium of our religion, the tie that unites the scattered remnants of Israel. It is in that language that our origin and the days of our glory are recorded; it is in that language that the house of Israel pour out their hearts and offer homage to their Creator and holy Protector. Join an Israelitish congregation in their devotional exercises in the remotest corner of the globe; and you will hear that sacred and elevating language, and you will gladly acknowledge that you are among brethren. How much, therefore, is it to be regretted that there are found among us so many individuals, whose minds do not understand, whose hearts do not feel what they are uttering with their mouths! To this last circumstance chiefly is to be ascribed the negligence of our co-religionists in attending Synagogue, and the repeated efforts of introducing into it a divine service in the vernacular tongue. Without entering for the present into the expediency or inexpediency of such an innovation, I must say this much, that, unless proper measures be taken to diffuse an adequate knowledge of the Hebrew among the rising generation, innovation will, and, as a matter of course, must take place. For a liturgy comprehended only by a select few, and incomprehensible to the majority, falls short of its edifying and ennobling character. Great, however, as has been of late years the supineness and indifference among our co-religionists, it is pleasing to observe to what a degree the reaction is attaining. All that is wanted is a little more union. Your valuable paper is greatly calculated to achieve this end, and I look to our schools with hopeful eyes as the places whence a regeneration will emanate. I, therefore, hail the Talmud Torah School as having supplied a long wished-for desideratum, and hope that it may prosper, and that similar institutions may be established wherever it is practicable. Note.—We present above an account of the late examination of the Talmud Torah School of New York, which we noticed in our second number. The article is written by a young Westphalian, who has been only a year in America; and it presents undeniable evidence of capacity for extended usefulness in our young friend, (who wishes to remain unknown for the present,) that he has in so short a time acquired a great facility to express himself so generally correctly in the English language. We hail his accession to the list of our contributors; he speaks with feeling and truth and we trust that, when his business engagements permit him, he will devote a portion of his leisure to aid us in advancing the cause of the Jewish faith in this land, where we have ample liberty, if we have the will, to develop the purity of our belief before the eyes of an admiring world.—Ed. Oc.